I gave my predictions and rankings before the season began, and have been giving power rankings over at Rush The Court, but it is time for my predictions on how the conference season will play out, with stream-of-consciousness style thoughts on each team. 1. 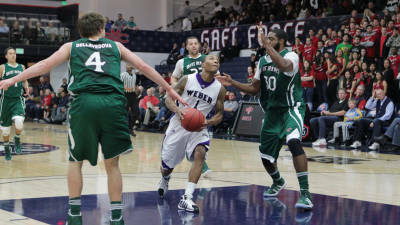 Weber State (Preseason: 1) - They have the best player in the conference in Damian Lillard, who is tied for the nation's lead in scoring and still leads the nation in efficiency. He is a star and the biggest reason the Wilcats are the favorite... Once Kyle Bullinger is able to return healthy, they are among the best rebounding teams in the conference, as he is a great rebounder from the 3 spot... Kyle Tresnak is becoming a solid offensive option, as he shoots a nice percentage and is able to get to the line a decent amount. If he could become a better rebounder (especially on the defensive end) he'd be one of the top post player in the Big Sky... Scott Bamforth has been bottled up by some opponents lately, but they need him to be a solid second scoring option. He is 5th in the Big Sky in scoring but needs to get a few more shots... Their backcourt rotation of Lilard/Bamforth/Jordan Richardon/Gelaun Wheelwright should be very solid. Richardson is a nice role player and Wheelwright has a ton of talent, even if he is still learning how to use it. 2. Montana (Preseason: 2) - In the past couple of games Derek Selvig is getting back to an offensive role of shooting more from the outside, penetrating, and finding open guys. That is a great role for him. Early in the year (and throughout the offseason) he was playing more inside, but I don't think that is the best use of his skills... Will Cherry gets the most attention, but I think so far this year Kareem Jamar has been the best player for the Grizzlies. He is a really good all-around player... They need to get Keron DeSheilds and Kevin Henderson more time. Shawn Stockton and Jordan Wood are seniors who have been through the ropes, but DeShields and Henderson are a lot more talented... Hopefully Billy Reader can start to be better defensively, because they need his offensive skills down low. 3. 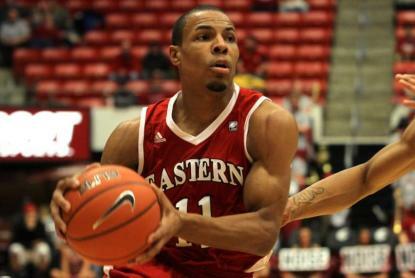 Eastern Washington (Preseason: 4) - Their biggest problem is that they can't play defense without hacking, and that has made them an average to below average defensive team. If they clean that up, they can do great things... on the flip side, they are very reliant on the outside shot, so they don't get to the FT line very often. Plus, they don't shoot 2s very well, only 40.4% so far this year. They take good care of the basketball and they are a solid outside shooting team, but they need to find a way to get to the rim for easy shots and get to the FT line, otherwise they are simply average offensively... Collin Chiverton has been an interesting guy. Nobody in America takes a higher percentage of his team's shots than he does when he is on the floor (which means he has the ball a lot), but he also does not turn it over. I would like to see him get his teammates involved a bit more.... Cliff Colimon has shown nice improvement this year, as he is one of the best PGs in the conference... Kevin Winford had some big scoring games last year, but he doesn't seem to have a big role in Hayford's offense. He has only taken 27 shots on the year. 4. Portland State (Preseason: 3) - Offensively they are a very good team. They get to the line a bunch, and they get points inside. They are the anti Eastern Washington, as they can't shoot from downtown but they get inside and get some easy buckets... their frontcourt trio of Chehales Tapscott, Nate Lozeau, and Renado Parker is the best frontcourt offensive trio in the conference. Lozeau has been a pleasant surprise with how good he has been.... Lateef McMullan has been a big disappointment for them so far. He is shooting poorly, and not getting others involved. His A:TO ratio is on the wrong side of 1... Charles Odum followed up his strong year last year with another good one so far this year. He is best served never shooting from outside (7/42 from downtown) but shoots an astounding 63.5% from 2-point range, which is great, and the biggest reason he is one of the best guards in the Big Sky.... Tapscott is the best frontcourt player in the conference. 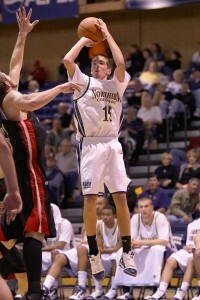 Good inside scorer, gets to the line, blocks some shots, and excellent rebounder. 5. Northern Colorado (Preseason: 6) - They have played the 11th toughest schedule in America, and other than their loss to Westminster they have not played too poorly despite their 3-8 record... Paul Garnica and Tate Unruh were role players last year, but are among the most improved players in the Big Sky this year. As sophomores they are one of the best guard tandems in the conference.... They have some good outside shooters which will keep them in games, as they are 4th in the nation from downtown, shooting 44.2%... Mike Proctor was supposed to be their best inside guy this year, but I think he is their third best post. Emmanuel Addo is more athletic and a better scorer, while Connor Osborne is a better rebounder thanks to his strength... They are inconsistent with all of their youth (see: loss to Westminster, UT), but they are a talented bunch. They have a lot of trouble with athletic teams, but they don't face a lot of that in the Big Sky... Their potential starting five next year - Garnica/Unruh/Tim Huskisson/Osborne/Addo will keep a lot of opposing coaches up at night. And the scary thing is, none of those guys would be seniors next year. 6. Montana State (Preseason: 5) - They need Xavier Blount to be the go-to guy for them, but he has struggled with inconsistency. He had a nice string of games with 26, 19, and 21 points, but in his last two games he has 10 points on 3/20 shooting. Obviously that won't get it done for them... They are an athletic group but they don't push the temp all that much, slightly above average when it comes to pace... They brought in a lot of JUCO guys who have been solid offensively, but they are struggling to pick up defensive concepts. Montana State has not been a good defensive team at all... After a three game winning streak to improve to 5-3, it looked like the Bobcats had an argument to be a a top 3 Big Sky team, now they have lost three straight (including two bad ones in a row) and are trying to put that behind them. They open with a huge 2 games at home, against Eastern Washington and Portland State. They can't afford to go 0-2 here. 7. Northern Arizona (Preseason: 7) - Their guard trio of James Douglas, Stallon Saldivar, and Gabe Rogers is excellent, and it will cause a lot of opponent's problems. Douglas should benefit from the return of Rogers, as it will take some of the scoring load off... The coaching change provide a bit of a spark, but I am not sure it will last. They got blown out by Sam Houston State to end non-conference, and the same roster configuration problems that existed at the start of the year are still there. They still have too many guards and not enough big men, which has caused them to be a poor rebounding team and one that doesn't get inside buckets. They have some guys giving good efforts, but they don't have any solid true post guys at this point. That will make it tough for them to consistently win games, unless they really speed the game up (which they haven't done yet this year). 8. 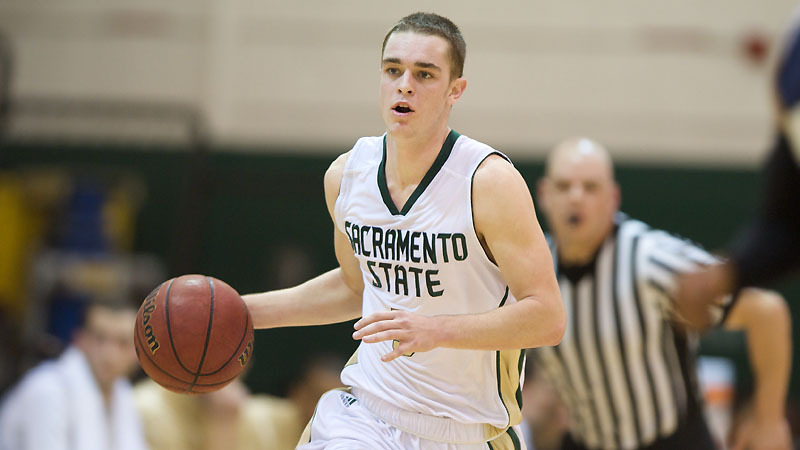 Sacramento State (Preseason: 8) - They have a solid-for-them record of 5-6, but their best win to date is at home against North Dakota... freshman Dylan Garrity has been a great distributor for them and is leading the conference in assists, but he has not been able to hit the broad side of the barn so far. He is shooting 9/32 from 2-point range and 8/29 from 3-point range. That is bad... Konner Veteto has been a nice piece for them down low, but he needs some help down low... Joe Eberhard, John Dickson, and Walter Jackson provide a nice trio on the wings, and Heath Hoffman has been a nice contributor as well... They have dome some nice things, but I do still think they are a year away from competing for a spot in the Big Sky Tournament. 9. Idaho State (Preseason: 9) - Unlike NAU, the coaching change does not appear to have sparked them, as they lost by 24 to Wyoming in Deane Martin's first game... Chase Grabau has been a nice piece for them, as he is an efficient scorer that gets to the stripe, is solid defensively, and gets some others involved. However, he needs some help. I'm not sure anyone on ISU has been above average so far this year other than Grabau.... Melvin Morgan has become a decent scoring option, but has not been quite the distributor they hoped he would be. He needs to take better care of the basketball... For all the preseason talk on Jakub Kusmieruk, he has not been much of a factor... Unfortunately, this is the least talented team in the conference and one in transition with the coaching change. It would be a surprise if they stayed out of the cellar. What are your thoughts? What order would you put these teams in? "The Bengals (2-9) head into Big Sky Conference play searching for answers, and they simply may not be coming. New interim head coach Deane Martin was frank when assessing his team's potential with con-ference play on the horizon. "This isn't the NBA, it's not like we can go out and make trades," he said." Yikes!! To call that frank would be an understatement... that would have to be a bit disconcerting if you're an ISU player. I mean, they know they are 2-9, but from Martin's quote it seems even his confidence in the team is minimal. to give their coach in DI basketball. I'll never forget Waters got his 4th foul with 10 minutes left 2 years ago, and Geving couldn't get Waters to check out of the game, so he ended up just staying in. That team from 2 years ago was extremely potent & talented, and they should have been more successful.